21 Great Day Trips from Seattle | Where's my backpack? When I wrote my guide of free things to do in Seattle’s Pike Place Market earlier this year, I got a couple of requests to write an article about day trips from Seattle, including destinations within reach of public transport. The first ten trips I’ve chosen are easily accessible using public transit – check out Sound Transit’s handy trip planner here for routes and schedules, and WSDOT’s site here for ferry information. Amtrak trains run from Seattle to several of these destinations and cheap and cheerful Bolt buses run regularly to and from Vancouver, British Columbia up north and Portland, Oregon down south. Without further ado, here are my picks for top 21 day trips from Seattle. Head down south of Seattle to walk across the Chihuly Bridge of Glass and visit the Tacoma Museum of Glass and Tacoma Art Museum. If you’re a history buff don’t miss the Washington State History Museum. Just over 33 miles south of Seattle, this is a short, sweet trip by car, bus or train. Keep going south to visit Washington State’s capital. Take a free guided tour of the State Legislative Buildings (on the hour from 10am to 3pm Mon – Fri, weekends from 11am to 3pm). Then check out the wealth of murals and public art installations that are dotted around nearby waterfront park, Percival Landing. A little over 60 miles from Seattle, this is another easy day trip by car, bus or train. Bookworms will find nirvana in the aisles of Powell’s City of Books (1005 W Burnside St), foodies will freak at the cornucopia of culinary delights on offer at the city’s 500+ food carts (Portland Food Carts) and nature lovers can hike through 5,000 acres of urban forest in Forest Park, the US’s largest forest located within a city. At a hair over 170 miles south of Seattle, it’s a fantastic day trip if you leave early. Driving is a straight shot down 1-5, on public transport Bolt Bus is a cheap, reliable option. Amtrak is another alternative, more expensive but the trip is wonderfully scenic as the track meanders along the coastline much of the way. Going north this time, the seaside town of Edmonds is one of my favourite short hops from Seattle. Hanging flower baskets and vintage street lamps add charm to the main streets which fan out from a central fountain. Browse through eclectic boutiques and galleries, enjoy great coffee at a sidewalk cafe or sit in the sand and watch the waves roll in and the ferries drift back and forth at Brackett’s Landing. Edmonds is a mere 17 miles from Seattle and easily accessible by public transport (bus mostly, limited schedule on Sounder Train and Amtrak) as well as by car. Embrace your inner globetrotter and travel to a whole new country and back again in a single day. Explore historic Gastown, wander through Stanley Park and take a water taxi to Granville Island for an amazing view of the city. Vancouver is an easy drive along 1-5 which takes about 3.5 hours each way (depending upon lines at border control). If you don’t fancy driving, Amtrak and Bolt bus both go there too. Remember to bring your passport. The Washington State Ferry trip over to Bainbridge Island is worth doing for the view alone; you’ll be treated to a stunning panorama of the Seattle skyline. While you’re over there, however, a short drive or a quick bus ride will bring you to the Bloedel Reserve which is a study in tranquility and a gorgeous escape from the city. I adore the laid-back feel of this little island which is just a short ferry ride from West Seattle’s Fauntleroy ferry terminal or from Pier 50 in downtown Seattle (commuter – foot ferry only). Measuring only 13 miles from north to south, with a maximum width of 8 miles, this is a great spot to hop on a bike and go exploring, but there’s also a bus that runs the length of the island. A haven for artists, there are plenty of galleries to browse, as well as lavender farms to visit, free-range eggs to buy and beaches to explore. My favourite spot is Quartermaster Harbor right by the sleepy little village of Burton (it has a great little coffee stand!) and Point Robinson Park and Lighthouse is worth checking out too. Just 16 miles east of Seattle along 1-90, easy to reach by car or bus, Issaquah is a wonderful mix of trendy restaurants, galleries, boutiques and watering holes in a stunning setting, surrounded on three sides by the “Issaquah Alps” – Cougar, Tiger and Squak Mountains. While you’re there, check out the Salmon Hatchery at 125 West Sunset Way and the Historic Train Museum at 50 Rainier Blvd. North. Travel back to the 1950s with a stop at the retro Triple X drive in restaurant. Otherwise known as Woodinville Wine Country, just 30 minutes from downtown Seattle by car and a great spot to learn about the process of wine making or stock up on premium Washington wines. You can get there by bus too (about 1.5 hours each way) but if you want to visit more than one vineyard (winery) you might be better checking with your hotel concierge or calling the Washington State Travel hotline 1-800-544-1800 for a wine tour. A short hop by bus or car eastwards across Lake Union will get you to the heart of downtown Bellevue. Definitely worth visiting while you’re in town are the Bellevue Botanical Gardens, 53 acres of fuchsia, rhododendron, native, Japanese and rock gardens (make sure you walk over the suspension bridge! ); entry is free, open from dusk to dawn year round. Also check out Bellevue Arts Museum, open Tues – Sun 11am – 6pm. The first Friday of every month admission is waived. Another sashay into foreign climes; this time the capital city of British Columbia located on the southeast coast of Vancouver Island. Marvel at the exquisite Butchart Gardens, explore Craigdarroch Castle, stroll along the harbour and stop for traditional afternoon tea at the Empress hotel. Kenmore Air run regular flights from Seattle’s Lake Union. Clipper Vacations operate a ferry service from Pier 69 in downtown Seattle; WA State Ferries run from Anacortes, other ferry services available from Port Angeles. John Muir wrote of Mount Rainier: “Of all the fire mountains which like beacons once blazed along the Pacific Coast, Mount Rainier is the noblest.” If you have a day to spare, a trip to Mount Rainier will not disappoint – all the better if you can spend even longer exploring this stunning national park. Depending upon which entrance you choose, it’ll take between 2 to 3 hours from downtown Seattle to be wandering around this little slice of paradise. If you don’t have a car, check out local tour offerings, there are usually day trips to Rainier on offer. Just 25 miles east of Seattle along 1-90 you’ll find a thundering 270 foot waterfall that will take your breath away and some gorgeous hiking trails. At night the falls are lit up by the nearby Salish Lodge. This is also the spot where Twin Peaks was filmed. Before you go, read up on the Legend of Snoqual – and when you’re there pick up some Snoqualmie Falls Pancake and Waffle Mix – you will thank me for it later! Easy to reach by car; there are also tour companies that run day trips from Seattle. Charming at any time of year, this pretty little community comes into its own in springtime during the Skagit Valley Tulip Festival. If you go, stop by the Dirty Biter statue to meet the town’s most beloved dog. You’re not going to get to all of the islands in this archipelago – there’s 172 of them! However, you can get a taste of island life on a trip out of Seattle. There’s a 45 minute flight from Seattle’s Lake Union and Boeing Field with Kenmore Air, by sea try the Victoria Clipper ferry from downtown Seattle, and if you have a car, drive north to Anacortes, leave your car and walk onto the Washington State Ferry which serves four of the islands – Orcas, San Juan, Lopez and Shaw. During the crossing, keep your eyes peeled for the local orca whales. Grey, humpback and minke whales have been known to make an appearance too, along with a wealth of other marine life like seals, otters, sea lions and porpoises. To get around and explore the stunning scenery, you can rent a bike on Orcas, San Juan and Lopez, or rent a moped or car on Orcas or San Juan. 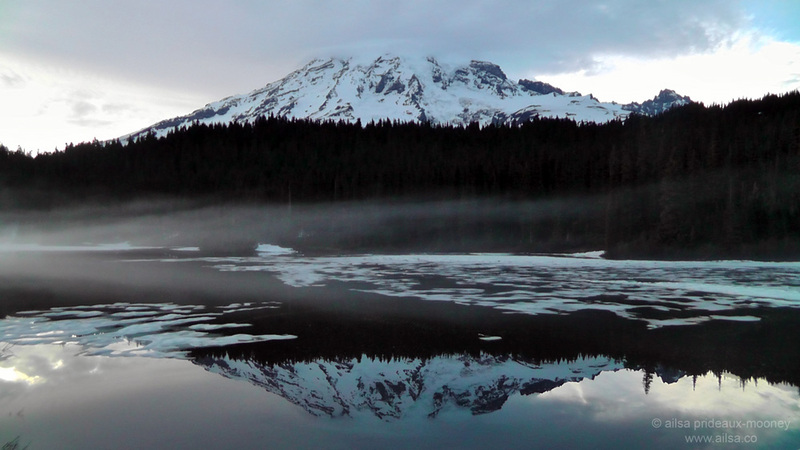 Mount Rainier’s turbulent neighbour, this volcano erupted with tragic consequences on May 18th 1980. Since then it has been granted the status of protected national monument and left to return to its natural state. A three hour drive from Seattle will get you up close and personal with the mountain at the Johnston Ridge Observatory Visitor Center – accessible from the entrance on the west side of the monument. If you’re not easily spooked by heights try the hike around Devil’s Elbow. As with Mount Rainier, you can visit on a day trip but all the better if you have more time to dedicate to this incredible area. 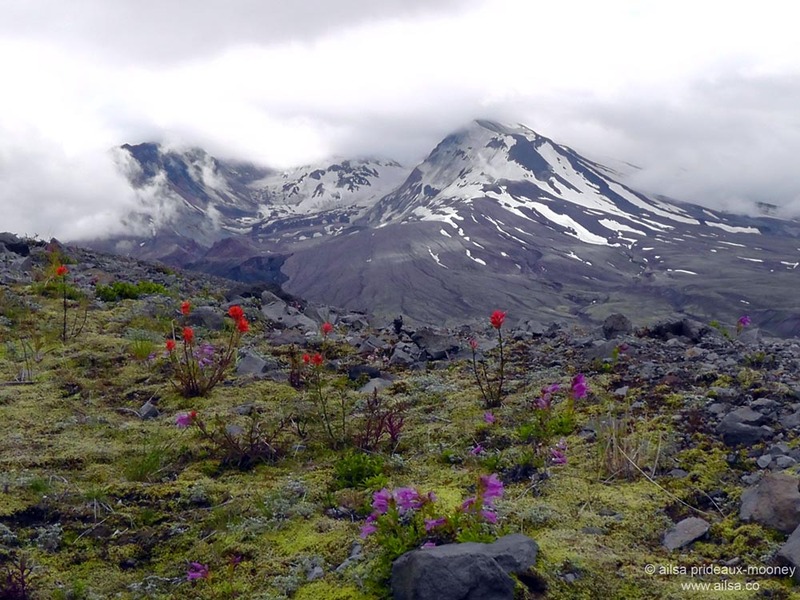 The southern and eastern approaches to the volcano give you entirely different perspectives and landscapes. Just across the Narrows Bridge from Tacoma lies the prettiest of waterfront cities with a picturesque harbour and delightful waterfront populated with shops, galleries and restaurants. Explore Gig Harbor’s maritime and shipbuilding heritage at the historic Eddon Boatyard and the Harbor History Museum, then go crazy on seafood at local restaurants with some of the tastiest seafood chowder, fish and chips and freshly shucked oysters anywhere. Miles of beaches and acres of unspoilt scenery are just part of Whidbey Island‘s charm. Explore the little town of Coupeville in the heart of Ebey’s Landing National Historical Reserve, try their famous Penn Cove Mussels, go bird watching year round. The island can be reached by a short ferry ride from Mukilteo, about 26 miles north of Seattle, but it can also be reached by car by driving north on I-5 to Burlington, then turning westbound onto WA State Route 20, which takes you right through Deception Pass State Park. Deception Pass is definitely worth seeing, so if you take the ferry on the way there, come back via the pass. Pristine lakes, windswept beaches, snow-capped mountain peaks, tumultuous waterfalls, humid rain forests, Olympic National Park is home to the most extraordinarily diverse ecosystems. One day is nowhere near enough time to explore all that this peninsula has to offer, but if you take the car ferry from Seattle to Bainbridge and drive north across the Hood Canal Floating Bridge you can be exploring your own little part of the Olympics in about 3 hours. Vampire lovers might want to stop in Forks where Stephenie Meyer based her Twilight stories. The faux Alpine village where it’s Christmas every day of the year. Leavenworth is a ridiculous amount of German-themed fun in the heart of the Cascade Mountains, complete with pretzels, men in Lederhosen, yodeling and an Oktoberfest. It’s between 2 to 3 hours by car each way, depending upon the route you choose, and bus tours are also available. One of the least visited national parks, North Cascades National Park is fee-free and only two hours from the centre of Seattle so if you have some free time and a yearning for mountain air, head north on 1-5 to Burlington, then take State Route 20 eastbound. In just two hours time you will have reached the heart of the American Alps. The road through the park is not very long, but make sure you travel right through and out the other side as far as Washington Pass before turning back, because this is where you will see the most iconic view in all of Washington State – the mighty Liberty Bell. That should keep you busy. Happy travels. This entry was posted in Photography, Travel, Travel tips, United States, Washington and tagged inspiration, nature, photography, photos, pictures, travel, writing. Bookmark the permalink. So many interesting places to see – thanks for all the work in highlighting the various attractions. Wow, such a useful list! I’ve been in the US for a year now (luckily, I have few more left still), and Seattle has been on my list from day one! I really hope I can travel there someday, and then I’ll definitely stay for a couple more days to look some of these things up. Thanks! Timely post-thanks for the tips!!! Glad you enjoyed it, Tiare. I just visited Seattle a week ago. I wish I were able to read this post BEFORE my visit ! I must save your information for my next visit. Great post, Ailsa! Very informative. We’re hoping to head in that direction in a year or two so will definitely use this as a travel guide. The Pacific Northwest is so pretty! This is a great list – I wish I had it when I went to Seattle last month! I am one of those who asked you for a day-trip list and you have excelled yourself here Ailsa. I had planned on travelling around the Olympic Park before driving down to San Fran, and some of these day trips would have been perfect! Sadly the Seattle trip has been cancelled for this year as I’m heading off to Oz instead and couldn’t afford the two so close together. I have bookmarked your post for a future trip though and thank you for all your hard work. You made an excellent job of it Ailsa. Perhaps you should send it to a travel magazine? Been to all except La Conner. . . damn! Great post and timely too. I was looking for some alternative ways to go down to Portland and you’ve given me lots to choose from! Thanks Ailsa, this is really useful. I’ve visited Vancouver before but I didn’t make it to Victoria. I’m hoping to get to Portland and Seattle next year, and your post has really helped me put into perspective what it’s possible to do in a day. Someone told me there’s a boat you can catch from Seattle to Anchorage, do you know if this is true? I’m hoping to do a trip around Alaska after visiting Seattle, and the boat sounds like a much nicer way of travelling than just jumping on another plane. We will definitely use this as we will be volunteering at Fort Worden SP at the Coast Artillery Museum April-May 2015. Come by and visit us. We’d love to meet you!